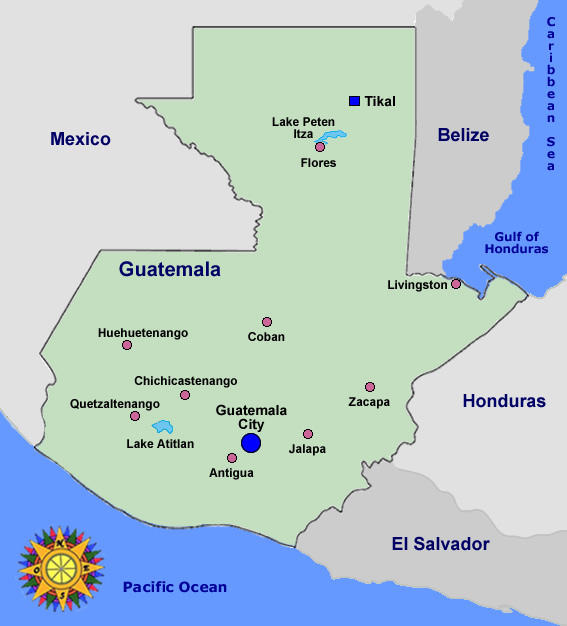 Guatemala is a country in the Central America region. It has borders to Mexico in the north/northwest, to Belize in the northeast, to Honduras in the southeast, to El Salvador in the south. It has a Pacific coastline to the southwest, and a tiny piece of Caribbean coastline to the east. 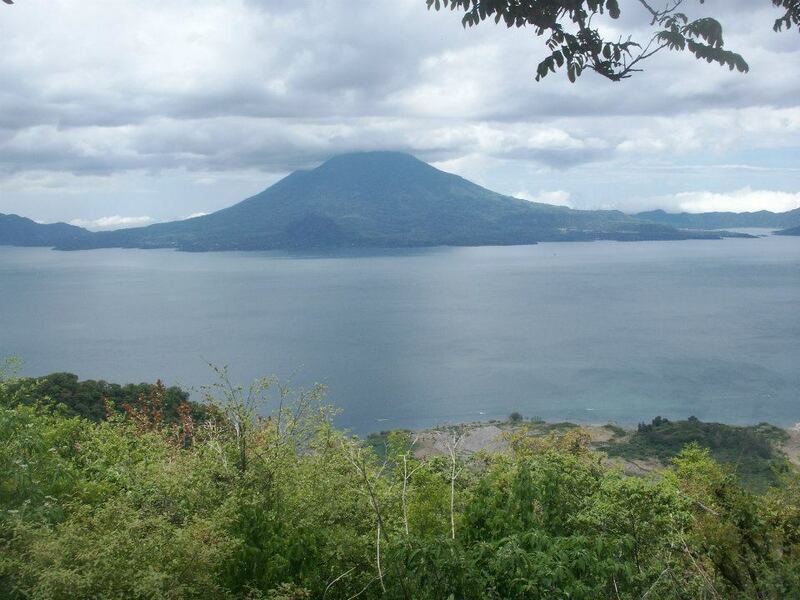 Guatemala has a rich and distinctive culture from the long mix of elements from Spain and the native Maya people. This diverse history and the natural beauty of the land have created a destination rich in interesting and scenic sites. The climate in the Central and Western Highlands is generally mild. It can get cool at night even in the summers, especially at the higher altitudes. El Petén and the Pacific Coast are tropically hot and steamy. It is difficult to travel in the more remote areas during the rainy season between mid-May and mid-October (into mid-November in the north). The months of March and April are very hot especially in the low lying areas such as the Pacific coastal plain. 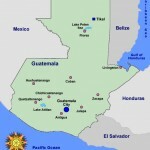 Flores — Island city capital of Petén, good starting point to access Mayan ruins of Tikal. 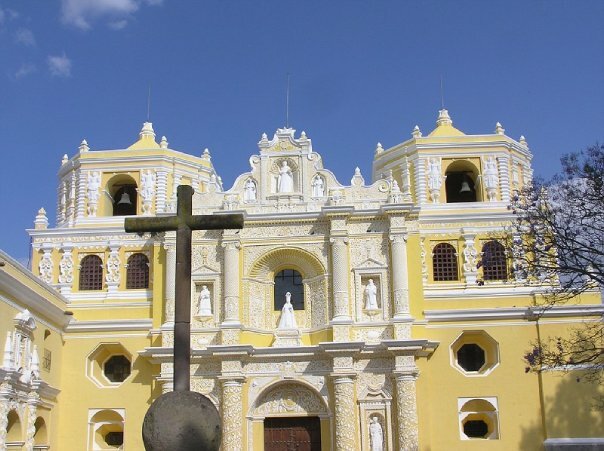 Quetzaltenango — Second largest city, in the western highlands. Commonly called “Xela”. Monterrico — The beach closest to Guatemala City and Antigua, volcanic sand. Rio Dulce — Known as “a ‘one of a kind’ ecological and cultural heritage for humanity”, and home of one of the largest bridges in Central America, the area surrounding this emerald “Sweet River” has many sites to see and things to do. From jungle hikes to the Hot Springs Waterfalls (Rio Dulce is home to Finca Paraiso), visiting Castillo San Felipe de Lara, sailing & watersports, seeing the colorful, friendly surrounding villages & landscapes to taking a Lancha tour through the Majestic Canyon from Livingston. There are plenty of places to stay, including some sweet spots right on the water. Rio Dulce is also a huge hub of access to not only places within Guatemala, such as Antigua, Tikal, Cobán, Semuc Champey and more, but is equally a point of access to the surrounding countries of Belize, Mexico, Honduras, Nicaragua, and El Salvador. El Mirador — massive early Maya site, perhaps the cradle of Maya civilization. 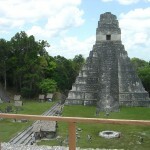 Still being uncovered and studied; less developed for visitors than the other largest Maya sites. 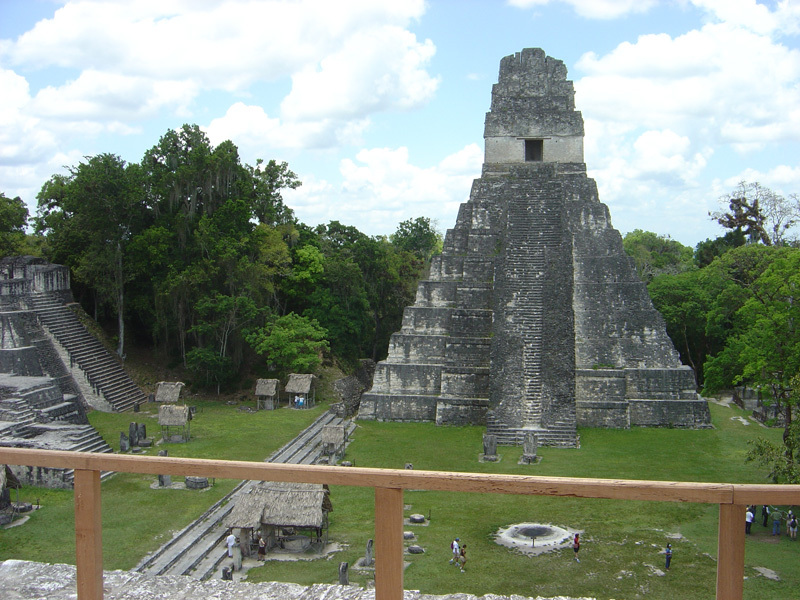 Tikal — long considered the largest of Maya ruins (although the ongoing investigations of El Mirador may challenge this claim), this huge and impressive ancient Maya site is probably worth the trip to Guatemala by itself. Stay in the park or in nearby Flores the night before in order to organise a early morning trip to Tikal, to see the sun rise over the ruins. Tours are easily organised from the surrounding areas. Iximché — ruins in the Central Highlands, an easy day trip from Guatemala City or Antigua. 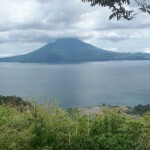 The following nationalities do not need a visa to visit Guatemala: Andorra, Argentina, Australia, Austria, Belgium, Belize, Brazil, Canada, Costa Rica, Chile, Denmark, El Salvador, Finland, France, Germany, Greece, Honduras, Ireland, Israel, Italy, Japan, Liechtenstein, Luxembourg, Malaysia, Mexico, Monaco, Netherlands, New Zealand, Nicaragua, Norway, Panama, Paraguay, Portugal, Singapore, South Korea, Spain, San Marino, Sweden, Switzerland, Taiwan, United States, United Kingdom, Vatican City, Venezuela. From Mexico, Honduras and El Salvador access is via the Pan-American Highway. Road access is also possible with more difficulty from Belize. From Belize. There are regular tourist buses from Belize City to Flores or Guatemala City via the border town of Benque Viejo, passing through San Ignacio and Xunantunich. From Benque you get a tazi to the border for around 3 Belize dollars, and from there a colectivo to Flores or Guatemala. Walk across the bridge to the Colectivo van headquarters to get better deals. From El Salvador. Buses are available from San Salvador and Santa Ana. From Honduras. Services run from Copan, San Pedro Sula, La Ceiba and Tegucigalpa. Mexico. Buses are available from Tapachula, Palenque, Chetumal, Tulum, Cancun and Mexico City. 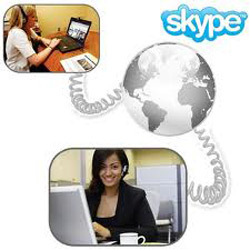 From further afield, it is possible to reach Guatemala from Nicaragua, Costa Rica and Panama. Tica Bus is a bus company that has newer buses and mainly travels between Central American countries with limited stops. 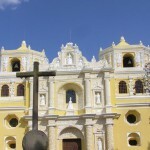 For transportation on Guatemala with shuttle/collective bus contact AtitlanTours.